Bird and flower painting scroll Kacho-ga "Seasonal Kakejiku of the summer"
Seasonal Kakejiku of the summer. This natural cool blue gray frame is bringing out the fish and leaves. It looks like a coolness, so it is hanged in the summer. 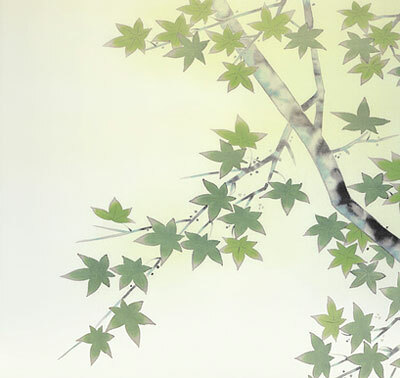 MOMIJI: Green maple leaf means summer because it is before turning the leaves red. 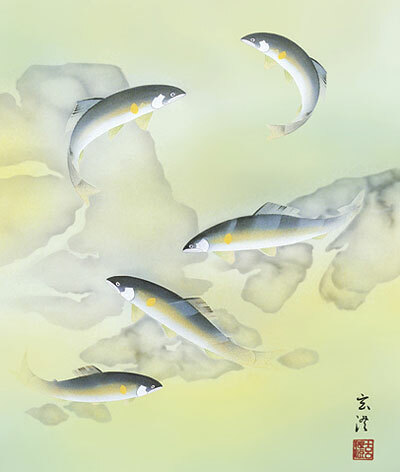 AYU: An ayu means the summer season in Japan.